The Eagles put on a solid performance this weekend on the Nations Cup Basketball Tournament and finished 4th place after playing some of the best teams in Brasilia. Congratulations to Salvador, Saturnino, Goro, Wilko (captain), Roen, Linus, Lucca, Makwembo and Rafael for a GREAT job in all the games during this tournament. Goro wins prestigious individual award at the tournament! At the end of the tournament, during the awards ceremony, Goro won the top individual award for Most Points Scored in the tournament. In four games Goro scored 106 points!!! Goro also set a new school record scoring 40 points in one game!! 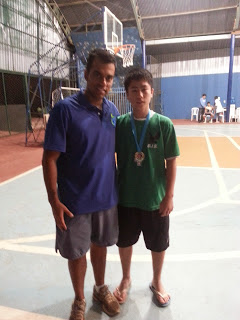 This was against School of Nations, and by the way, Coach Batista took Goro out for a few minutes in the fourth quarter. Final results of the 2014 Nations Cup Basketball Tournament. BIS in the semi-finals for the Basketball Nations Cup. 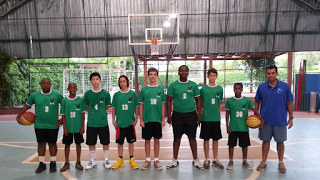 Today the BIS Eagles played two GREAT games in the 2014 Nations Cup Basketball Tournament. First the Eagles beat School of Nations in an exciting high scoring game. On the second game BIS was in the lead in the first quarter and the scored was tied at the half-time mark. On the third quarter Sta. Terezinha opened a lead which ultimately gave them the win at the end of the game. All BIS players played very well tonight and team put on an extraordinary effort in both games. The highlights were the trio Lucca, Goro and Wilko who scored the majority of the points for the Eagles with excellent moves down low and many assists to each other. Linus did a great job getting offensive rebounds and scoring inside the paint. Makwembo, Rafael, Salvador and Saturnino also did a super job in playing tough defense and helping on the offense. The whole team was in sync and it was FUN to watch! Way to go Eagles!!! Now the Eagles finished second in their group and will move on to the semi-finals which will be tomorrow (9/20/14) at 4pm at Escola das Nações (School of Nations). All players should arrive 30 minutes early. Special thanks to all who came to cheer for our team today. It was AWESOME!!! Two more games tomorrow... Go Eagles!!! Basketball Schedule for this weekend. Here is the full schedule for the Basketball Tournament this weekend. Where: School of the Nations (Lago Sul). When: Friday afternoon and Saturday afternoon, September 19th and 20th. 5:00pm , Game #2 - BIS vs Sta. Terezinha. 6:30pm - Leave School of the Nations and return home (plan transportation). The exact times of our games on Saturday will depend on the results of games played on Friday. Generally games will be played from 2pm to 7pm on Saturday. 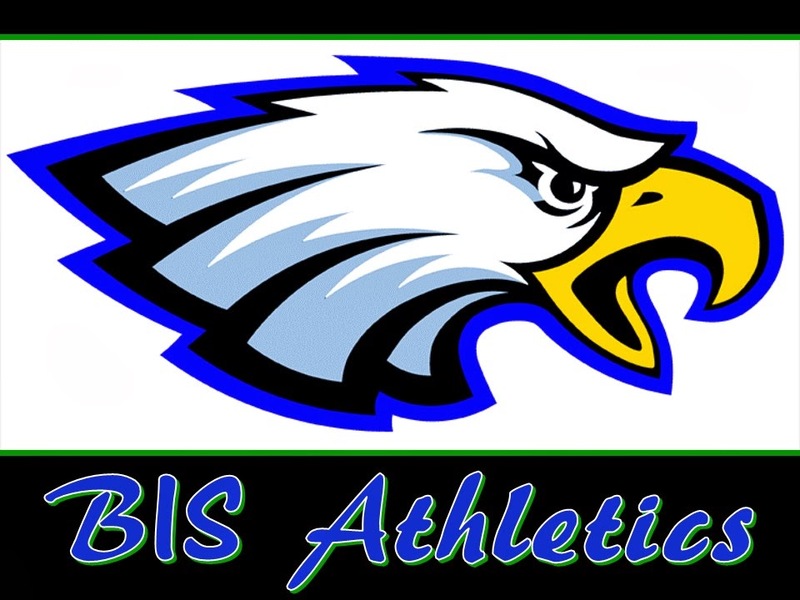 For the lastest update on the schedule please check our website, www.biseagles.com . Plan to go straight from BIS to Escola das Nações (School of Nations- Lago Sul) on Friday 09/19/2014 in order to get there on time for our first game. Plan to arrive at least 30 minutes before our first game on Saturday. Check the website on Friday night for the latest updates. Please contact your transportation and let them know ahead of time! Bring your water bottle and snack! Sign the permission slip to participate. - When: Wednesday - September 10th. Contact your transportation and let them know ahead of time! Games will be over at 6:00pm. - When: Saturday September 13th. - Time: 2:00pm to 3:30pm. - Parents may watch the practice until the Student vs. Parents @ 4pm. - Time: 4:00pm to 5:30pm.